Do you remember turning 17? Where did you live? Where did you go to school? Who were your friends? What were your hopes and dreams? What advice would you give your 17 year-old self today? 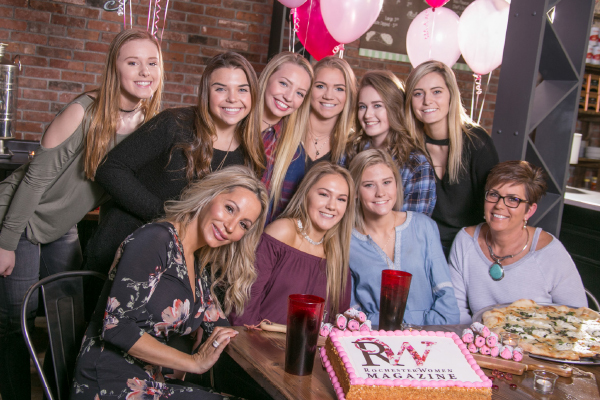 Rochester Women magazine helped Eryn Fjelsted celebrate her 17th birthday on Tuesday, February 7 with a makeover, pizza party and photo shoot at Pasquale’s Neighborhood Pizzeria. Imagine that kind of treatment for your 17th birthday party! Eryn and her mom, Cindy Fjelstad, went to Hair Studio 52 + Day Spa to get ready for the party. Jade at Hair Studio 52 added color and highlights to Cindy’s professional hairstyle. Lizzie Albrecht trimmed and highlighted Eryn’s hair to give her an easy wash-and-wear hair style for her busy, hockey-girl lifestyle. Her natural Norwegian blonde hair goes well with her light blue dress from Camy Couture. Her tall boots looked stunning on her long legs. Only a 17 year-old could get away with wearing a short dress, as if Paris runway model, on a chilly winter day in Minnesota. Teens don’t seem to have the same desire (or need) to be warm as their mothers. This entry was posted in Cover Stories on March 7, 2017 by Jorrie Johnson Photography by Mike Hardwick Photography. It’s no secret that the construction industry primarily consists of men. In fact, only 3 percent of construction workers today are women. 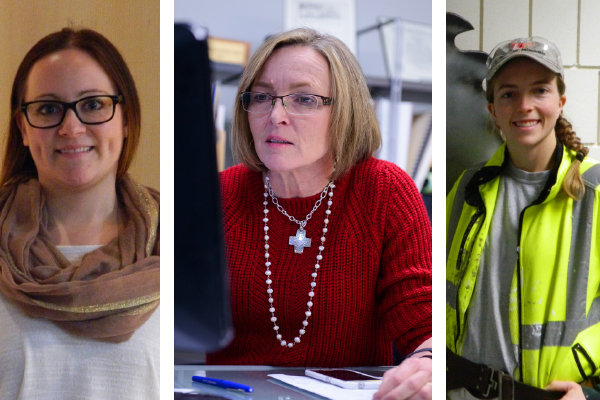 But even with prominent workplace barriers like wage disparities, real and perceived bias and a general lack of respect for their abilities, women are becoming an increasingly recognized force in the construction industry—and they are encouraging young women to consider following in their steps. According to the National Science Foundation, women make up half of the college-educated workforce in the United States but represent a mere 29 percent of science and engineering jobs. Although the number of women in science and engineering jobs has risen significantly in the past two decades, the gap between genders has narrowed only modestly. This entry was posted in Cover Stories on January 5, 2017 by Sarah Oslund. Over 27 years ago, Debbie Anthony met the man who would become her greatest fan and her greatest supporter—her husband, Mitch. Introduced to one another by her brother, Debbie and Mitch started their relationship by talking on the phone, and three days later, they met at a local restaurant. “We stayed there all night and talked. In fact, we were so focused on each other that we didn’t even touch our food!” she says. Debbie and Mitch eloped 13 days later and have been together ever since. 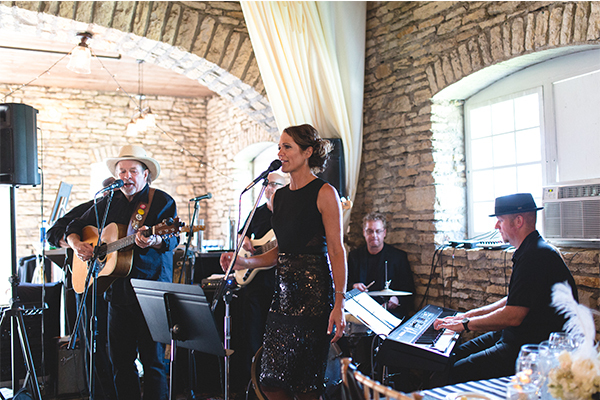 Today, Debbie’s life is still centered on what touches her heart the most—her love for music and her husband, Mitch. Debbie has always loved to sing. She earned a bachelor’s degree in music from North Central University, in addition to a degree in psychology from Winona State University and two-thirds of a master’s degree at Trinity Evangelical Divinity School. This entry was posted in Cover Stories on November 2, 2016 by Kim Zabel Photography by Fagan Studios. Community schools are catching on across the country. In Rochester, Riverside Central Elementary School and Gage Elementary School are taking part in a two-year pilot partnership to become full-service community schools. 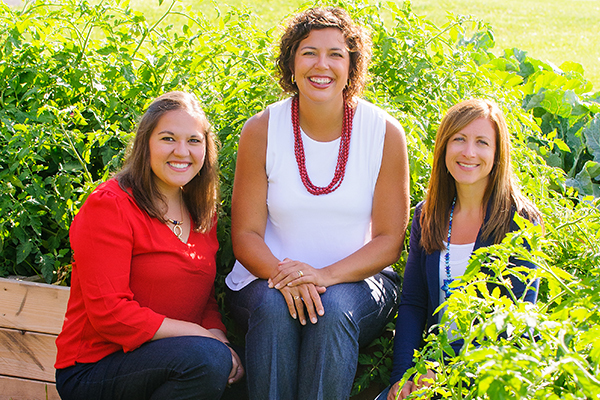 They offer a range of services and opportunities for children and their families that promote school readiness, consistent attendance, student health and family engagement. Assessments—and lessons learned—provide valuable insights to identify and address needs and deliver educational excellence that will stand the test of time. This entry was posted in Cover Stories on August 26, 2016 by Trish Amundson Photography by Fagan Studios. 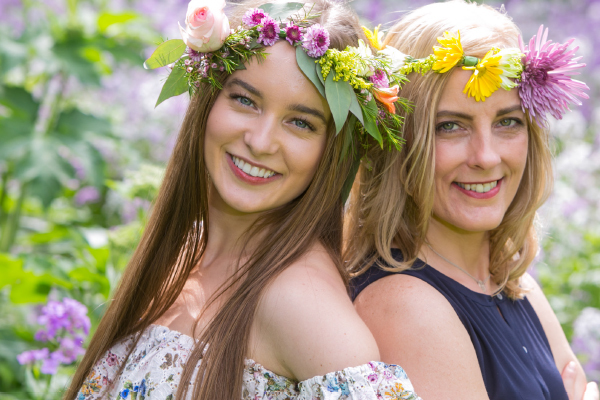 Local girl Michaelene Karlen dances as a professional ballerina on the New York stage and promotes natural wellbeing through organic, holistic skin care that reaches beyond the stage. Pretty pink tutus, silky pointe shoes, sparkling tiaras—these are what little girls dream of, and for Michaelene Karlen, these dreams came true. With focused dedication, practice, physical stamina and natural dancing ability, Michaelene is living her dream as a contemporary ballet dancer who stays fit by taking care of herself from the inside out. This entry was posted in Cover Stories on June 27, 2016 by Trish Amundson Photography by Mike Hardwick Photography. Adaheid “Heidi” Mestad is a natural fit in her position as director of Minnesota Children’s Museum of Rochester, where she draws up on valuable lessons and experiences to lay a strong foundation and build for success. At Minnesota Children’s Museum of Rochester, which opened in 2012, Heidi Mestad is creating an environment where 21st-century workforce skills are fostered, healthy bodies and minds are nurtured and immersive experiences are delivered. More simply, she is encouraging and enabling exploration and discovery through play. This entry was posted in Cover Stories on May 18, 2016 by Trish Amundson Photography by Mike Hardwick Photography. In a city coined as “Destination Medical Center” and “America’s City for Health,” it seems there would be an abundant number of people working in healthcare; however, there is a nursing shortage in the Med City. 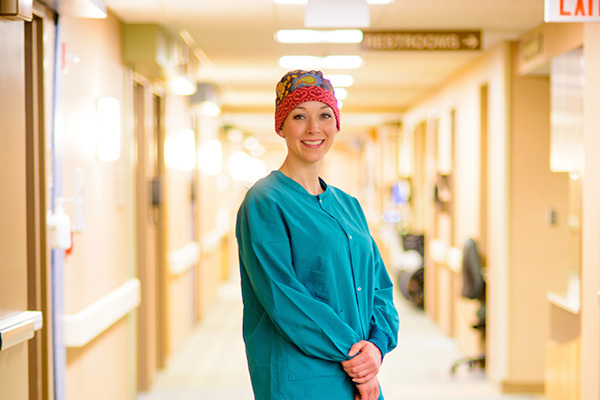 Rochester offers unique opportunities to explore multiple disciplines within healthcare to find the perfect fit and great promise for career placement upon graduation. With more than three million nurses in America today, this population comprises one of the largest segments of the U.S. workforce as a whole. It is also one of the fastest growing occupations in the U.S., and yet, the demand for nurses continues to grow faster than new workers are entering the healthcare field. According to the Bureau of Labor Statistics, there will be more than one million vacancies for registered nurses alone between 2014 and 2022. The demand for healthcare workers in southeastern Minnesota echoes the needs of the nation as a whole. This entry was posted in Cover Stories on May 18, 2016 by Sarah Oslund Photo by Fagan Studios. Fashion designers of a different thread and their models are working around the clock to bring you the very best in a less than conventional runway showdown. Building industry professionals cleverly disguised as fashion designers have been challenged to create one-of-a-kind, haute couture apparel largely crafted from materials used by builders. Who says paint chips can’t be pretty? 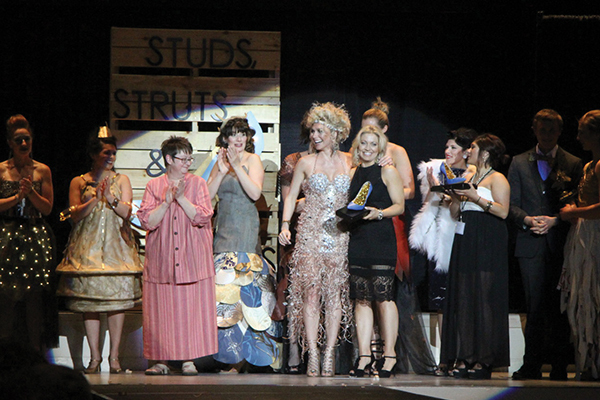 Studs, Struts & Stilettos, brought to you by Rochester Area Builders Association, will take center stage on Thursday, April 21 at the Mayo Civic Center Auditorium. The construction fashion expose is now in its third year, and proceeds will once again benefit Rochester Area Habitat for Humanity. This entry was posted in Cover Stories on March 4, 2016 by Sue Whitney. 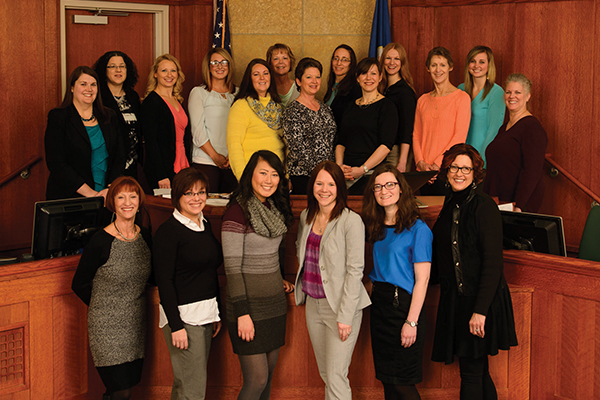 Choosing a career in the field of law is a decision more and more women are making today. Since 1992, women’s representation in law school is nearing 50 percent. As of February 2014, there were nearly 110,000 female members of the American Bar Association comprising 33 percent of the organization. Even though this number is growing, there is still a long way to go. By increasing the representation of women lawyers and judges, our legal system will be more reflective of our diverse population. Women bring an understanding of the impact of law as it relates to the lives of women and girls and help ensure the real-world applications of the law is understood. This entry was posted in Cover Stories on March 4, 2016 by Sarah Oslund Photography by Fagan Studios. One important message that I teach my clients and customers is that you can exercise with little or no special equipment. Dress in athleisure apparel, and you’ll be ready for fitness at a moment’s notice. What is athleisure apparel? Wikipedia defines it as “clothing designed for athletic workouts…worn outside of the gym to go to the office or shopping or other social occasions.” Wearing athleisure saves time and looks good on you. 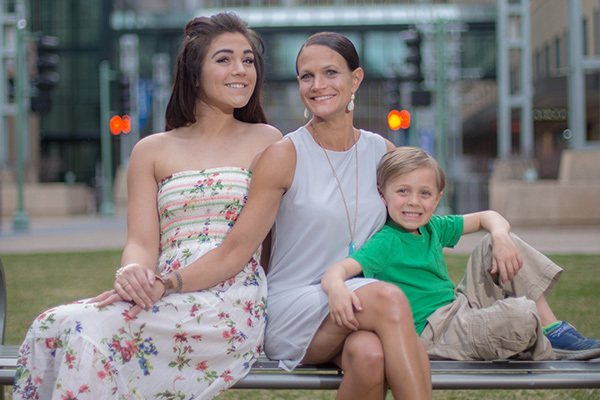 As an owner of a fitness business and mother, I frequently go from training sessions to meetings, then stop by the school or home before heading back to the gym again. I need apparel that is appropriate for all these situations. I need and desire apparel that looks stylish and that I can also move comfortably and sweat in. I am a professional woman who enjoys dressing up, and I don’t like traditional “personal trainer” attire (polo shirts and wind pants). This entry was posted in Cover Stories on March 4, 2016 by Emily Watkins Photography by Mike Hardwick Photography.